Ed Abbo is President and Chief Technology Officer at C3, which provides an AI and IoT software platform-as-a-service to power enterprise digital transformations. Mr. Abbo leads C3’s strategy and execution, including technology direction, innovation, and customer success. Prior to C3, Mr. Abbo was Senior Vice President at Oracle Corporation, where he was responsible for its application products. Prior to joining Oracle in 2006, he was Senior Vice President of Engineering and Chief Technology Officer for Siebel Systems. Mr. Abbo earned a Master of Science in Mechanical Engineering from the Massachusetts Institute of Technology and a Bachelor of Science in Mechanical & Aerospace Engineering from Princeton University. Lance R. Collins is serving his second term as the Joseph Silbert Dean of Engineering at Cornell University. He was part of the leadership team that successfully bid to partner with New York City to build Cornell Tech, which opened its Roosevelt Island campus in 2017. Collins has accelerated the college’s efforts in diversity. Since 2007, Cornell Engineering tripled the proportion of underrepresented minority students from 7 to 21 percent; over the same period, undergraduate women increased from 28 to 50 percent, more than twice the national average. For these efforts, he received the inaugural Mosaic Medal of Distinction from Cornell Mosaic and the Edward Bouchet Legacy Award from the Bouchet Graduate Honor Society. Collins is a professor of mechanical and aerospace engineering. His research is focused on the application of direct numerical simulation to a broad range of turbulent processes. He has been elected fellow of the American Physical Society, the American Association for the Advancement of Science, and the American Institute of Chemical Engineers. In 2014, he received the William Grimes Award from the AIChE. Collins graduated from Princeton in 1981 with high honors and holds a Ph.D. from the University of Pennsylvania, all in chemical engineering. Patricia Falcone is the Deputy Director for Science and Technology at the Lawrence Livermore National Laboratory (LLNL) in Livermore, California. She is the principal advocate for the Laboratory’s science and technology base and oversees the strategic development of the lab’s capabilities. A member of the senior management team, she is responsible for the lab’s collaborative research with academia and the private sector, as well as its internal investment portfolio. Falcone joined LLNL in 2015 after almost six years at the White House Office of Science and Technology Policy (OSTP), including serving as the presidentially appointed and Senate-confirmed Associate Director of OSTP for National Security and International Affairs. In that capacity, she led a team that advised on the science and technology dimensions of national security policy deliberations and on Federal support of national security research and development. Earlier, Falcone served in a variety of technical and management positions at the Sandia National Laboratories in Livermore, California, including as a Distinguished Member of the Technical Staff, and as the Senior Manager for Systems Analysis and Engineering. Her work at Sandia focused on the assessment of new technologies for mission applications, and on advanced energy conversion technologies. Falcone is a member of the Board of Trustees of the Georgia Tech Research Corporation and of the advisory committee for the Department of Mechanical and Aerospace Engineering at Princeton University. She serves as a co-chair of the Advanced Computing Roundtable of the Council on Competitiveness and as the Chair of the National Laboratory Chief Research Officers. Patricia Falcone received a Bachelor of Science in Engineering in aerospace and mechanical sciences from Princeton University, and a master’s degree and doctorate in mechanical engineering from Stanford University. José E. Feliciano is a Managing Partner and Co-Founder of Clearlake Capital Group. He co-founded Clearlake in 2006. Clearlake is a private investment firm with a sector-focused approach. The firm seeks to partner with world- class businesses by providing patient, long-term capital to dynamic businesses that can benefit from Clearlake’s operational and strategic expertise. The firm’s core target sectors include industrials, energy and power; technology, communications and business services; and consumer products and services. Clearlake currently has over $3.2 billion of assets under management. Mr. Feliciano leads the firm's investing efforts in industrials, energy and power, and other key verticals. In addition to his investing responsibilities, Mr. Feliciano is responsible for the day-to-day management of the Firm. Prior to co-founding Clearlake, he was a Partner and member of the investment committee at Tennenbaum, a private investment firm focused on distressed and other special situations investments. Before joining Tennenbaum, he served as Chief Financial Officer of govWorks, Inc., a payments and other services provider to the public sector, where he managed the finance, corporate development and human resource functions. Prior to govWorks, Inc., Mr. Feliciano worked in investment banking in the Mergers & Acquisitions and Corporate Finance Groups at Goldman, Sachs & Co, where he also was a private equity investor in the Latin America Enterprise Fund. Mr. Feliciano currently serves as a representative to the board of Amquip, Futuris, IronGate Energy, Jacuzzi Brands, Mission West, Mycom Group, Platinum Energy, Proven Brands, Purple, Sage Automotive, and Smart Sand. He has previously served on the board of directors, bank instructing groups and bondholder committees (formal and ad hoc) for a number of companies, including Ahern Rentals, Foster Wheeler, La Paloma Generating Company, MACH Gen, Northwestern, Phoenix Color, Pliant, PrimeSport, Radnor Holdings/Wincup, Rural/Metro Corporation, Triax Pharmaceuticals, and World Gourmet. Mr. Feliciano serves on the Board of various non-profit organizations and also served as a Commissioner of the Industrial Development Authority of the City of Los Angeles. Mr. Feliciano graduated with High Honors from Princeton University, where he received a B.S. in Mechanical & Aerospace Engineering. He received his M.B.A. from the Graduate School of Business at Stanford University. Ann Karagozian is a Distinguished Professor in the Department of Mechanical and Aerospace Engineering at UCLA. Her research interests lie in fluid mechanics and combustion as applied to improved energy efficiency, reduced emissions, and advanced air breathing and rocket propulsion systems. Professor Karagozian is a Past Chair and is current Division Councilor of the American Physical Society (APS) Division of Fluid Dynamics. She is a member of the Air Force Scientific Advisory Board, having served previously as SAB Vice Chair (2005-2009) and twice receiving the Air Force Decoration for Exceptional Civilian Service. Prof. Karagozian is a Member of the National Academy of Engineering and is a Fellow of the APS, the American Institute of Aeronautics and Astronautics, and the American Society of Mechanical Engineers. She received her B.S. in Engineering from UCLA and her M.S. and Ph.D. in Mechanical Engineering from the California Institute of Technology. She is currently a member of the Board of Trustees of the Institute for Defense Analyses and is an alumna of and mentor for the IDA Defense Science Study Group. Lori Setton is the Lucy & Stanley Lopata Distinguished Professor and Chair of Biomedical Engineering​ at the University of Washington, St. Louis. Professor Setton's research focuses on the role of mechanical factors in the degeneration and repair of soft tissues of the musculoskeletal system. In 2015, Lori A. Setton joined Washington University in St. Louis as the Lucy and Stanley Lopata Distinguished Professor of Biomedical Engineering from Duke University, where she was the William Bevan Professor of Biomedical Engineering and Bass Fellow and associate professor of orthopaedic surgery. She joined the Duke faculty in 1995. She is a fellow of the Biomedical Engineering Society and of the American Institute of Biological and Medical Engineering and earned a Presidential Early Career Award from Scientists and Engineers (PECASE) in 1997, as well as several awards for excellence in mentoring​. Professor Setton earned master's and doctoral degrees, both in mechanical engineering and biomechanics, in 1988 and 1993, respectively, from Columbia University. She earned a bachelor's degree in mechanical and aerospace engineering from Princeton University. Professor Setton is a Fellow of the ASME and received the Van C Mow Medal from the ASME. Dr. Sirignano is the Henry Samueli Endowed Chair in Engineering and Professor of Mechanical & Aerospace Engineering at the University of California, Irvine (UCI). Sirignano received his Ph.D. from the Department of Aerospace and Mechanical Sciences at Princeton University and remained on the faculty for more than a decade before leaving to become Mechanical Engineering Department Head at Carnegie Mellon University and later Dean of Engineering at UCI. Dr. Sirignano is a member of the NAE and a Fellow of AIAA, ASME, American Physical Society, American Association for the Advancement of Science, Society for Industrial and Applied Mathematics, and the Combustion Institute. He has received several research awards for his works in combustion theory and computation, multiphase fluid dynamics and transport, and propulsion and power. His current research activities address the breakup of liquid jets, combustion and fluid dynamics at supercritical pressures, and liquid-propellant-rocket-engine combustion instability. Prior research has impacted miniaturization of combustors, spray technologies, fire safety, and high-performance technology for combustion in the turbine of a gas-turbine engine. George is responsible for guiding all aspects of building the world’s first commercial spaceline including our spaceflight program as well as our small satellite launch capability. This includes oversight of our sister company, The Spaceship Company (TSC), to manufacture a fleet of WhiteKnightTwo and SpaceShipTwo space vehicles. Prior to Virgin Galactic, George served as Chief of Staff for NASA, where he provided policy and staff support to the agency’s Administrator. Upon departure from NASA, he received the Distinguished Service Medal, the highest award the agency confers. Prior to his role at NASA, George served as Executive Director of the National Space Society (NSS), a space policy and advocacy group that was founded by Apollo program leader Wernher von Braun and the journalist Hugh Downs. Currently, George serves as co-Chair of the World Economic Forum’s Global Future Council on Space Technologies. He is a member of Caltech’s Space Innovation Council, Princeton’s Mechanical and Aerospace Engineering Department Advisory Council, and the advisory board of the Rotary National Award for Space Achievement. He is a fellow of the UK Royal Aeronautical Society and an associate fellow of AIAA. 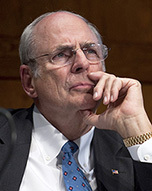 He previously chaired the Reusable Launch Vehicle Working Group for the FAA’s Commercial Space Transportation Advisory Committee, and has served on the Board of Trustees of Princeton University, the board of Virgin Unite USA, and the World Economic Forum’s Global Agenda Council on Space Security.